Automate your phone using NFC with AnyTAG NFC Launcher @ no extra cost! What is AnyTAG NFC Launcher? 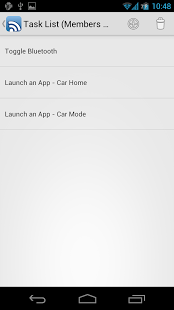 AnyTAG NFC Launcher is a task launcher app which lets you start tasks by scanning NFC tags. What can AnyTAG NFC Launcher do? And many more feature will add in future updates. Why AnyTAG NFC Launcher is unique? “AnyTAG” means you can use any NFC tags. Yes you hear it right, any NFC tags, no matter it is locked or not re-writable. How AnyTAG NFC Launcher works? Every NFC tags come with a unique tag ID. Instead of writing task/action into the NFC tags like what other does. AnyTAG NFC Launcher let user stored list of tasks and tied it with the NFC tag ID. 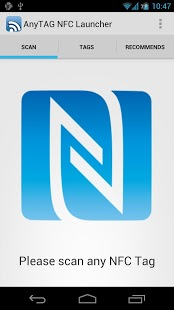 So when user scanned NFC tag, AnyTAG will recognize the tag ID and perform configured tasks accordingly. 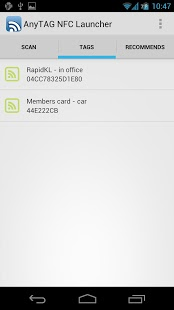 No modification of NFC tags stored data at all. Why we created AnyTAG NFC Launcher? We created this simply because we want you save money not to buy expensive NFC tags. Benefit of AnyTAG NFC Launcher?